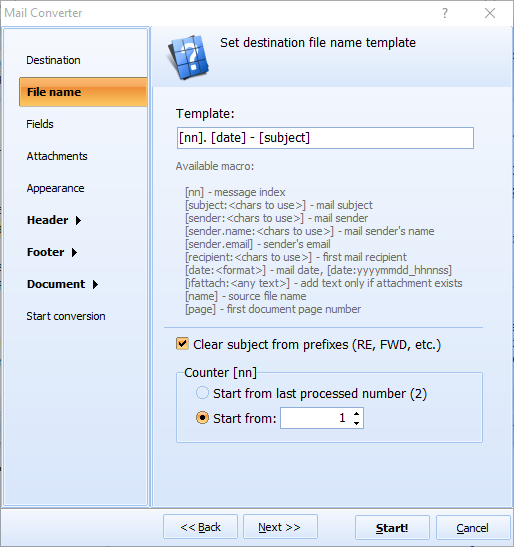 Email files like MSG or EML are not available for reading, as texts in such files are encoded. 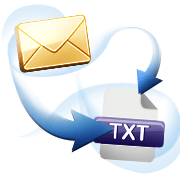 Total Mail Converter can export emails to TXT, creating lightweight text copies of your messages that are compatible with all text readers. 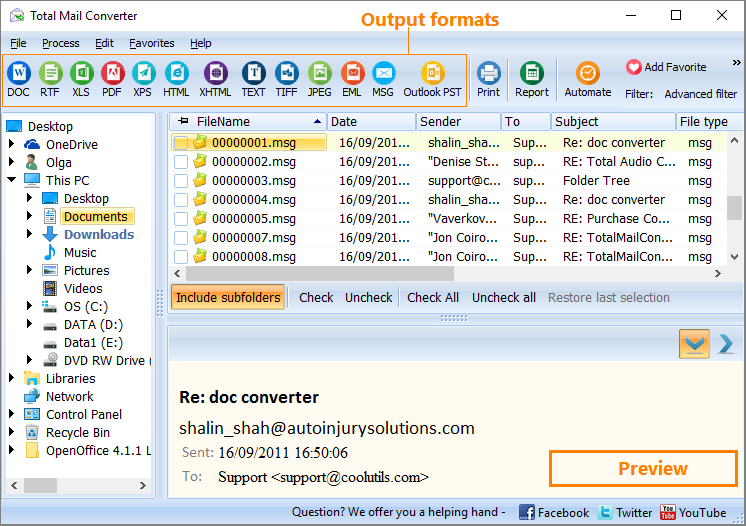 This is a batch email TXT converter that can handle a lot of files in one click. Instead of processing files one-by-one, it offers to convert the whole set of files together. Besides saving your time, Total Mail Converter also helps to optimize the content of TXT copies. You can export all email fields or select specific fields. You can use any combination of the following fields: Subject, Sender, Recipient, Copy to, Body, Dat. Just uncheck the fields you don't need, and they won't be exported to the result file. Another useful option is ability to convert email to TXT together with email history attached to the source message. If your email contains images, the program can just save them as separate files during conversion. 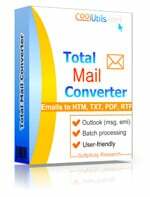 If you need to convert attached documents to TXT or need other attached files to be saved, Total Mail Converter Pro will fit such needs. If you export email to TXT in batch, the options you select are used for every source message in the batch. 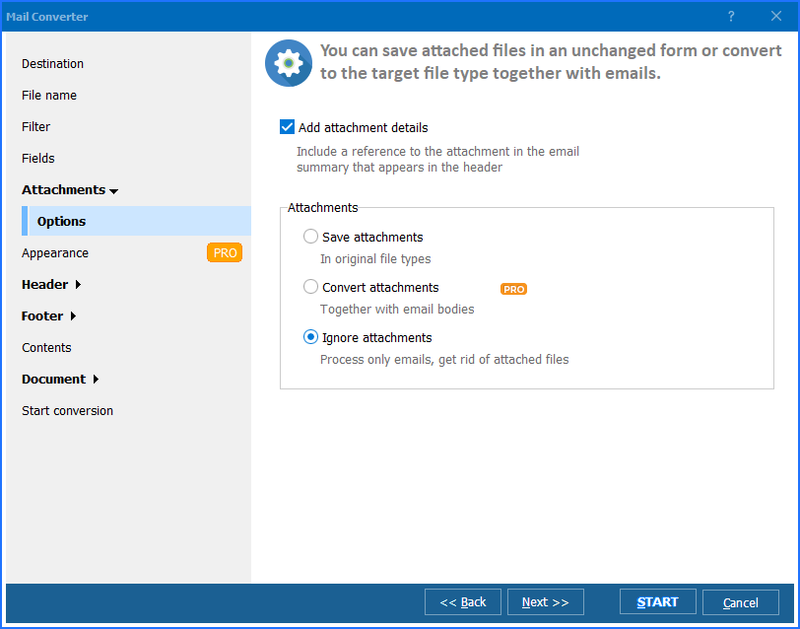 If you wish to make the copies maximally compact, you can merge all emails into one TXT file. Otherwise the program will create a TXT file for every source message. Total Mail Converter works from the command line too. Similar to other programs in this mode, it is enabled by a command in 'cmd' dialogue. When you download email converter and install it on your side, you will be able to test both modes (GUI and command line) for free during a month. Try this program in a trial version, it will become your No1 helper in email conversions! Convert EMLX to TXT for backup.